Very patriotic and cute too. I am using them in planters. I would buy them again. I like the colors. I should have purchased more because they are a little small. They are not very tall but heavier than I expected. Already put them in my front yard for Memorial Day. Look forward to using them for many years! BRIGHT COLORS AND VERY ATTRACTIVE. GOOD PRICE, BUT SHORTER THAN APPEARS, ALTHOUGH DESCRIPTION DOES SAY 12", I WOULD HAVE LIKED IT A LITTLE TALLER. LOOKS ADORABLE LINING THE WALKWAY, VERY INVITING. 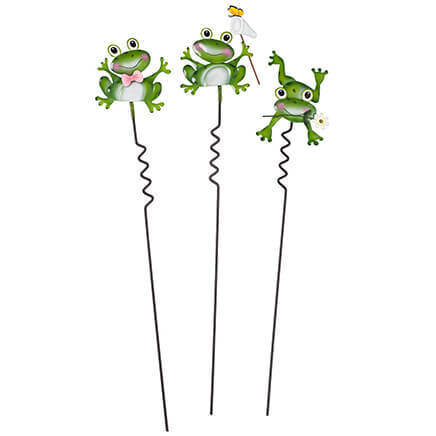 Cute little planter stakes for July 4th! Cute additions to flower pots! These items are easy to move from place to place, look great together in the garden and are colorful and easy to use. We also love that they mimic the American Flag in different ways and colors. Great for planter accents but not large enough for a stand alone accent. They look attractive in my yard. My Aunt had them and I loved them!!! These will also go in landscaping in front yard. Very attractive set! These look sturdy, like they won't chip or fade and they are classy. Also the reduction in price after you order two helped me a lot. 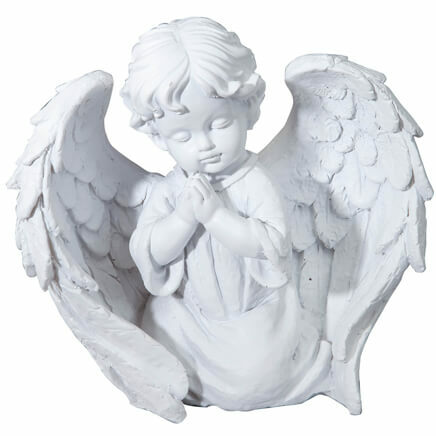 I will put them in my flower bed with my red and white flowers. I am patriotic and thought they would look nice in my flower planters. I just like to shop @ miles Kimball! 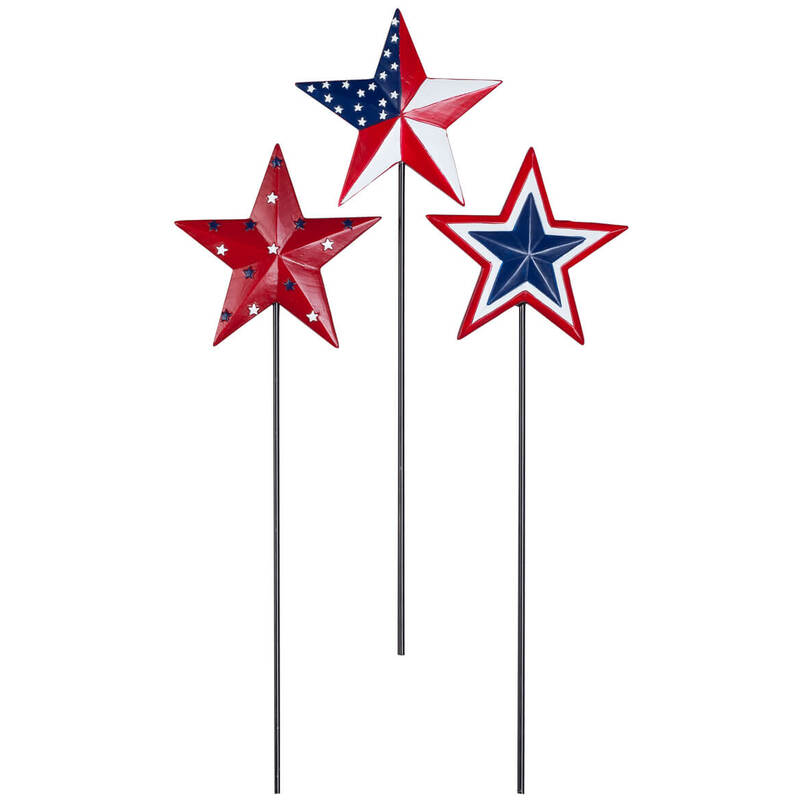 One set for me and one for a friend...good reviews on this lovely patriotic set of stars. This is so patriotic for the season. I have a bigger star and would like these smaller ones to go with it. Really loved the others I ordered previously! I stake them in my container plants, and just about everywhere! They're made very well of resin, so they're weather proof, too! 5 stars for these stakes! We host july 4th Party! Will look good in yard. 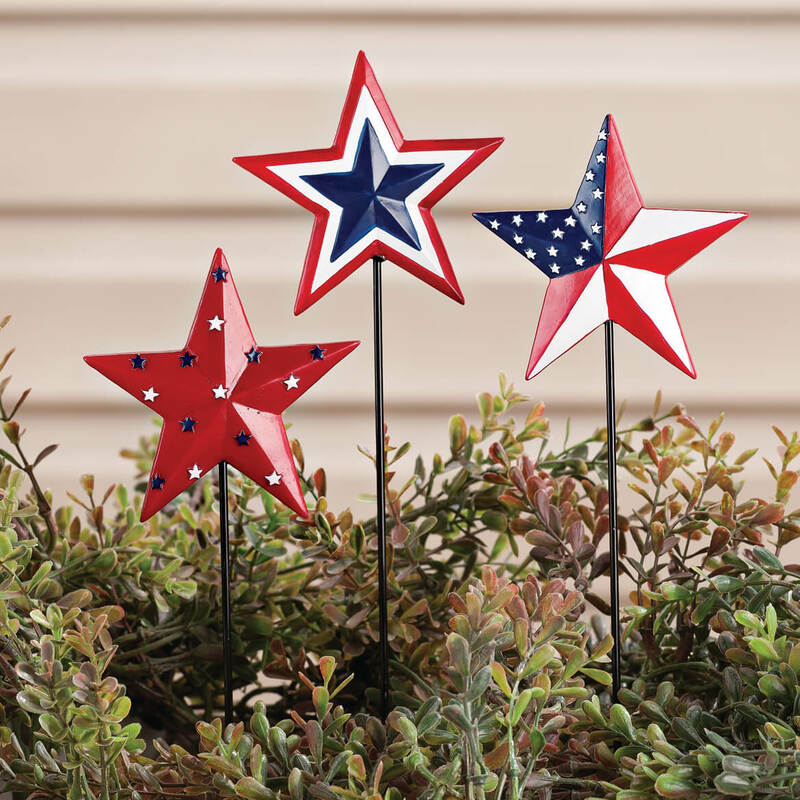 I am excited to place these cute star stakes in my front garden during all of our Patriotic holidays. Cute...but a lot smaller then I thought they would be. I thought they would look great in our front yard. 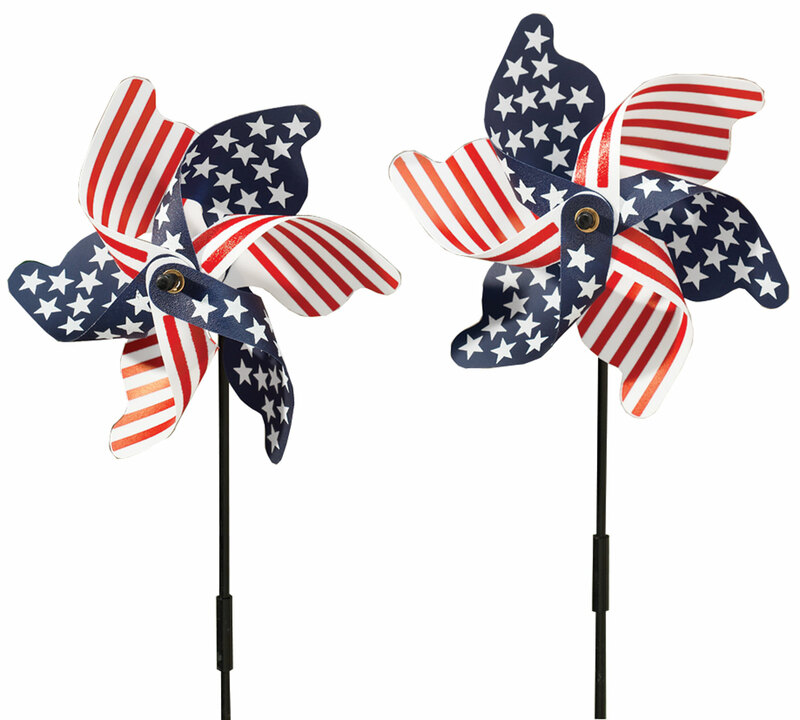 I'm into patriotic stuff, and they will look nice in my yard. To decorate my front yard from Memorial Day to the Fourth of July. Just wish they were larger. 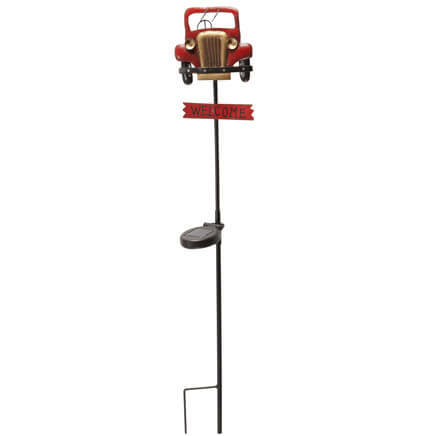 For our camper...it goes with the theme we have outside our camper. Will look nice in the yard for Memorial Day, 4th of July and Labor Day. Love them, made well and look cute in flower pots inside house. Picture is deceiving as far as use outside. Not very tall but nice anyway, made well. So cute without be ostentatious. 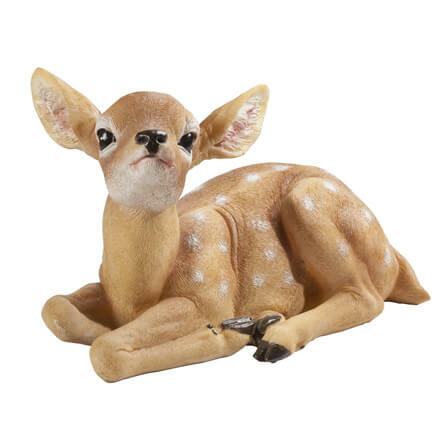 to put in my yard. i decorate with the red white and blue. love patriotic creations in my yard!!! I love the look of these items!